Martha Washington is the first and only woman to grace the primary portrait of U.S. paper currency. Martha Washington's image appears on the $1 Silver Certificate. The certificates were first printed in 1886, six years after the first legal tender dollar bill featuring Washington was issued, a slightly re-designed Martha Washington also was produced in 1891. The $1 Certificates were discontinued in 1957. It was the nation's second-longest issued paper money and as the name suggests was backed by the U.S. Government's silver deposits and could be redeemed at any time for silver from the U.S. Treasury. The design began in the summer of 1886. The Galveston Daily News reported on August 17th, 1886, "It is learned at the Treasury Department that the new Silver Certificates authorized at the last session of Congress will not be ready for issue before November, the $1 certificate contains a vignette of Martha Washington." 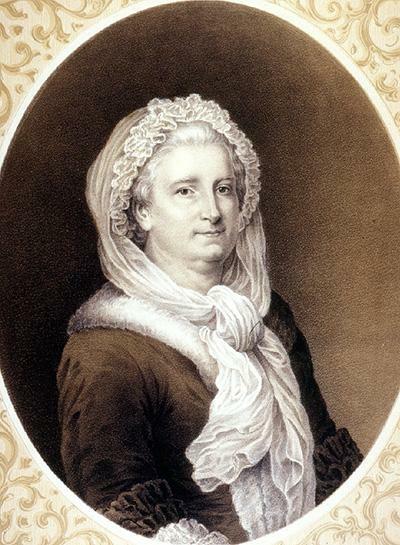 The portrait featured on the currency is based on Charles François Jalabert's portrait of Martha Washington. Several newspapers featured quotes from prominent individuals upon the issuance of the Martha Washington Silver Certificate. 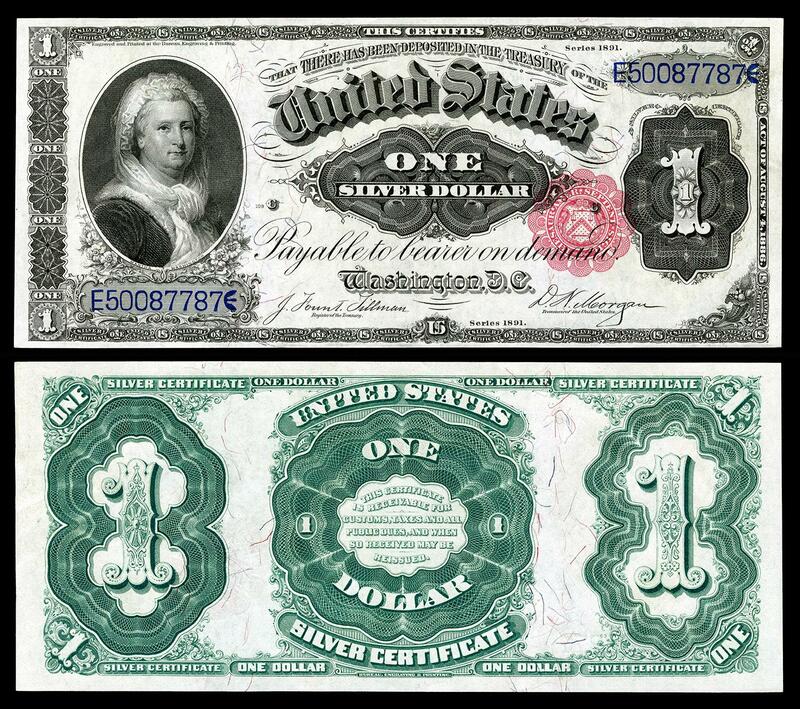 "Persons fortunate enough to possess a one-dollar Silver Certificate have an excellent picture of Martha Washington, the wife of the Father of His Country,"
Editor's Note: Martha Washington is the only woman to have her portrait as the central feature on paper currency. While Pocahantas appeared on a note issued in 1869, she is depicted as part of a larger group in a reproduction of the engraving, Pocahantas Presented at Court by T.A. Libeler. Browse Mount Vernon's collection of one-of-a-kind historic currency available for purchase. Martha Washington: "the worthy partner of the worthiest of men"